Clean your eyes with pure cold water regularly. Clean your eyes with pure cold water regularly. This is one of the best ways to keep eyes healthy & disease free. Avoid Looking directly at the sun, artificial light or shining objects. Direct rays of bright light can damage the retina. Roll your eyes up & down & then side to side. Now move your eyes in a circular motion. Repeat this exercise five to ten times to relax your eyes. Maintain a good distance from the computer screen- sit approximately 22 to 28 inches away from it. Sitting too close or too far may increase the strain on eyes. Pakistani doctors on 9Th July18 performed first-ever mechanical heart transplant at Karachi’s National Institute of Cardio Vascular Diseases (NICVD). 62-year-old Nafeesa Begum was the first patient to undergo this surgery and receive a mechanical heart transplant. Dr. Hameedullah Malik of NICVD said the woman’s heart was only 15 percent functional prior to the surgery but all her other organs were working fine. Kidneys diseases are silent killers , Which will largely affect your quality of life. These are however several easy ways to reduce the risk of developing kidneys disease. 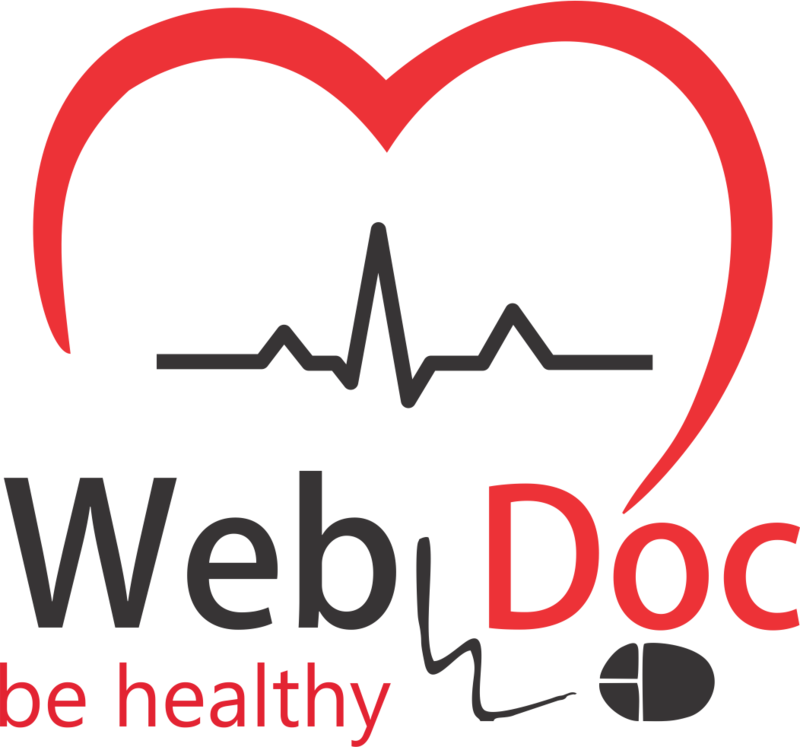 Now you can connect a doctor at webdoc any time of day or evening. Eat food with fiber: Fiber helps your liver work at an optimal level, Fruits, Vegetables, Whole grain breads, Rice and Cereals can take care of your body`s fiber needs. Drink lots of water : It prevents dehydration and its helps your liver to function better . Take a deep breath in, now breath out. Your hardworking lungs do this 20,000 times a day. But have you ever wondered how much of the air you breathe is truly fresh? You might be surprised to know that you`re breathing in air filled with pollutants like sulfur dioxides, carbon monoxides, volatile organic compounds and particulates. To reduce your risk of getting diverticulitis, you should try and add high-fiber foods to each meal. Aim for up to half your plate to contain some fiber-rich food. However, be careful about eating a lot of fiber at once. Overdoing it can cause gas, bloating, diarrhea, and abdominal cramps as your gut bacteria try to process all the new fiber. These problems go away after a while as your digestive system gets used to the higher fiber levels, but you can avoid them by adding extra fiber gradually to your diet. For example, try to add just one more serving of a high-fiber food to your daily diet for a week, then see how your body feels. Give yourself another week, if needed. If everything is okay, add another daily serving for a week. Continue this pattern until you reach your daily quota of fiber. Also, make sure to drink plenty of fluids each day—about 16 ounces of water, four times a day. Increasing the water you drink can help fiber pass through your digestive system and avoid stomach distress. Here are some additional tips that can help you make the transition to a higher-fiber diet. Eat a minimum of three servings of vegetables and two servings of fruit every day, the five-a-day recommended by the USDA’s Dietary Guidelines for Americans.What does that look like? In general, one serving is a single piece of fruit or a half-cup of raw fruits or vegetables, or a cup of leafy greens. Include fruits, vegetables, or both with every meal.For instance, include fruit with breakfast and as a snack, and vegetables with lunch and dinner. Eat pulses (the seeds of plants in the legume family), such as beans, lentils, and peas, at least three times a week.You can include them either as a plant-based protein in meatless dishes, or as the starch side in place of grains. For example, you could have fish on a bed of lentils rather than rice. Rely on nuts, seeds, and fruit for snacks.Or add them to other items like yogurt, oatmeal, salads, and stir-fries. Replace refined grains like white rice with whole grains like brown rice, wild rice, or bulgur.For pasta, look for versions made from quinoa or pulses like chickpeas and lentils. Check nutrition fact labels for the amount of dietary fiber.Aim for at least 5 grams of fiber per serving.